Celebrating 3 years, the project in images, in a video created by Rita Pureza (Research Department of THINKING-BIG). You can already follow THINKING-BIG's videos on You tube, channel ThinkingBigEA. 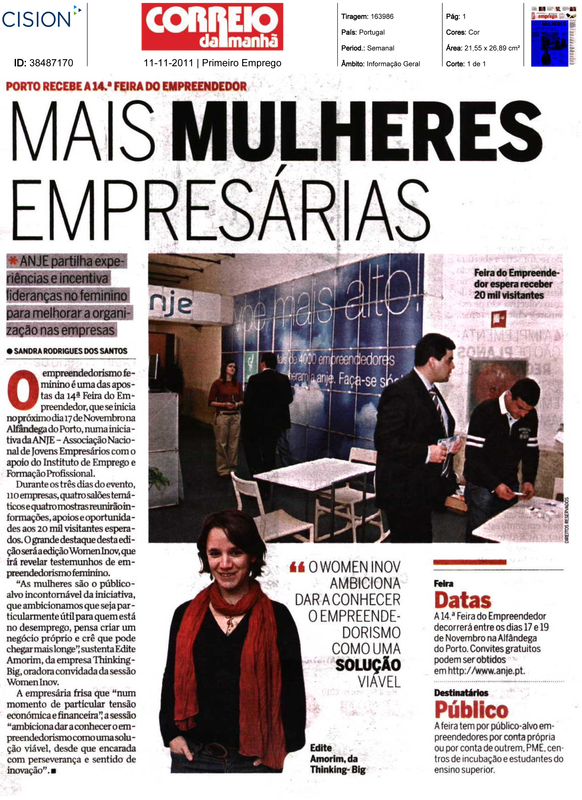 11/11/2011 - THINKING-BIG - Entrepreneurship by women. 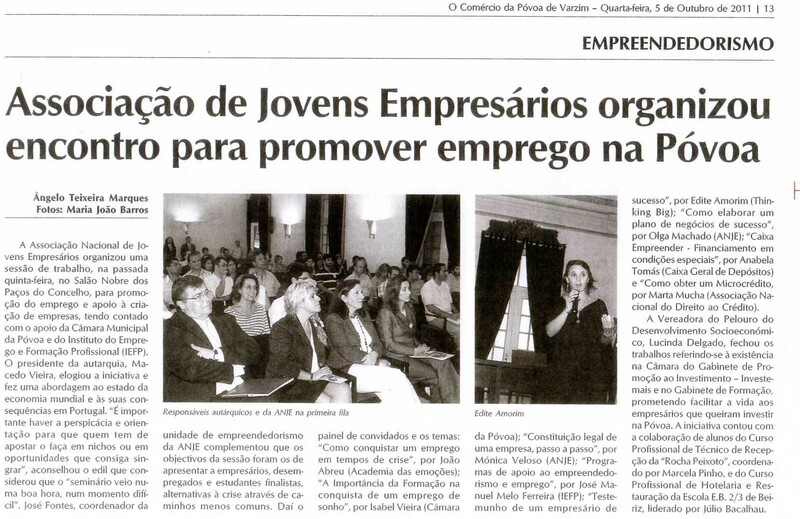 December 2011 - Conferences about Entrepeuneurship - ANJE, Oporto, Portugal. July 2011 - Open course "Be happier, sell more"- All About U Workshops - Manitou Springs, Co, USA. July 2011 - Open course of Creativity - All About U Workshops - Manitou Springs, Co, USA. May 2010 - Open course of Creativity - "Raining ideas", with Debby Holtzman - Barcelona, Spain.